Biennial budgeting is a concept that may involve several variations, including two-year budget resolutions, two-year appropriations, and other changes in the timing of legislation related to revenue or spending. Biennial budgeting proposals may focus on enacting budgetary legislation for either a two-year period or two succeeding one-year periods in a single measure. 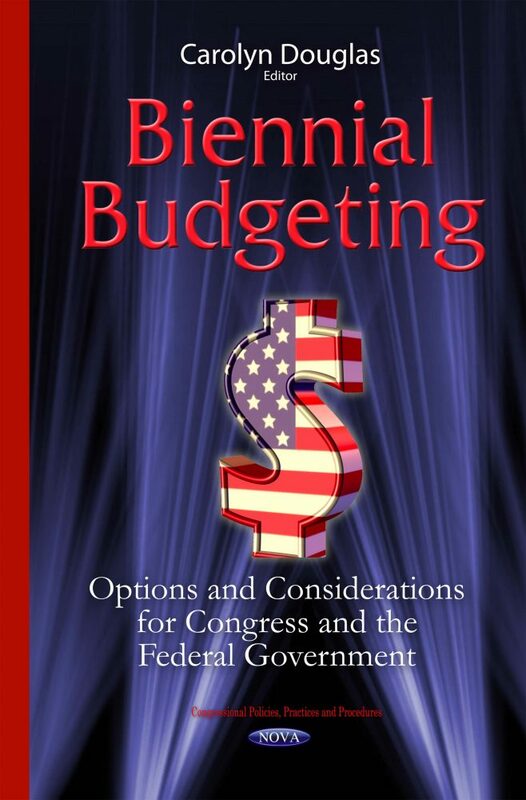 This book discusses options, issues and previous Congressional action in biennial budgeting. The book provides background information on the annual character of the current process and a history of proposals to convert to multiyear budgeting; describes three bills that reflect different approaches to biennial budgeting; analyzes the potential effects of converting from annual to biennial budgeting; discusses the federal budget process; and examines challenges and proposals for adopting a long-term budget focus.